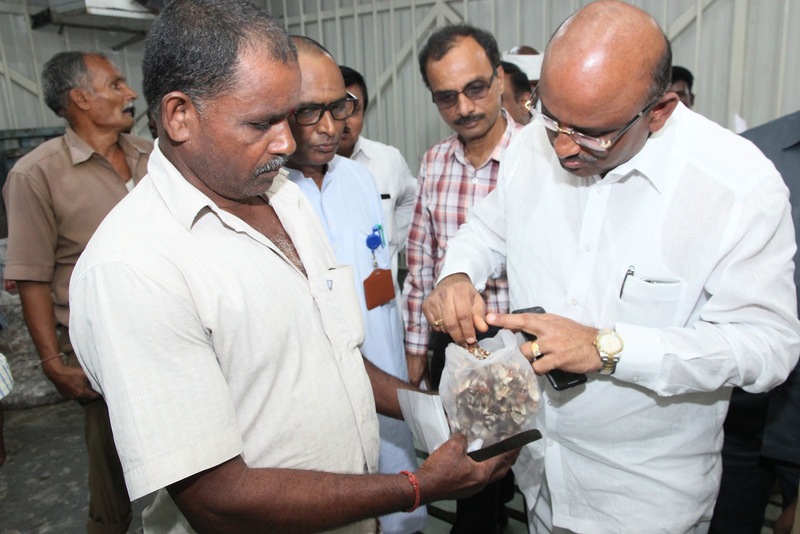 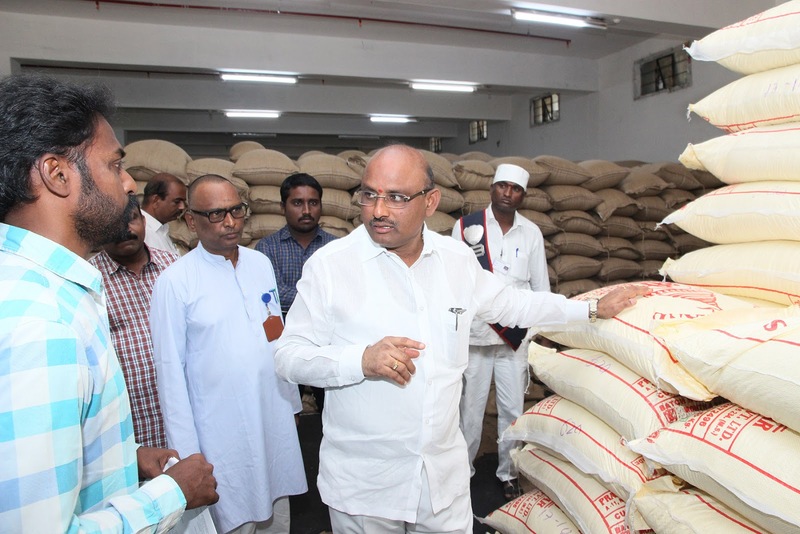 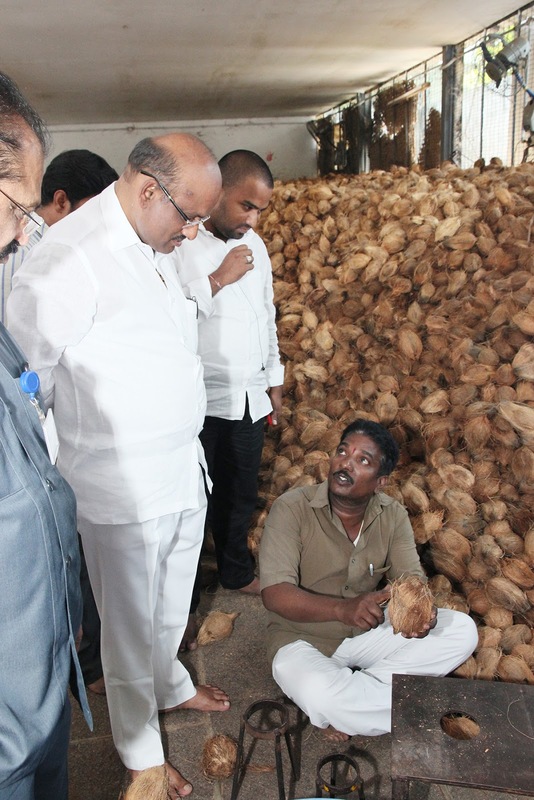 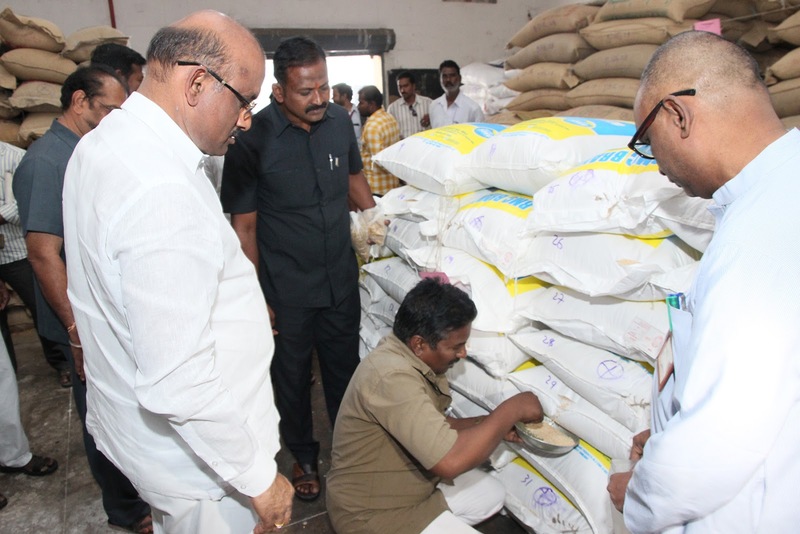 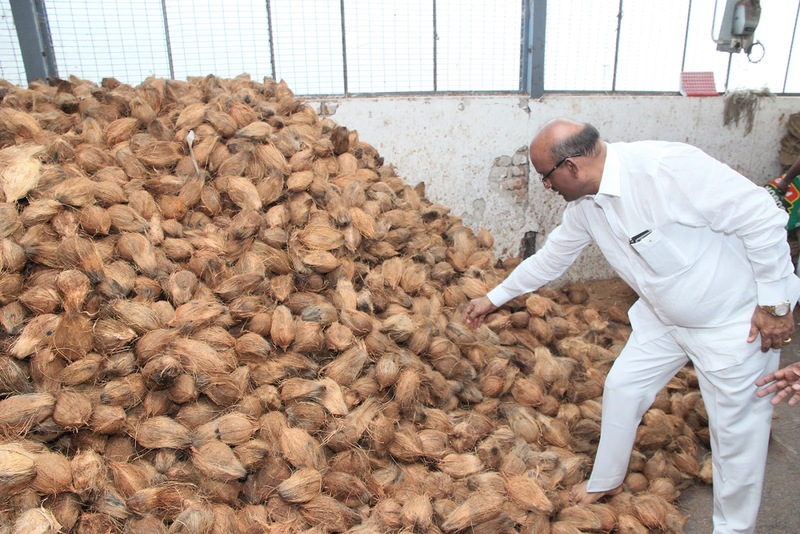 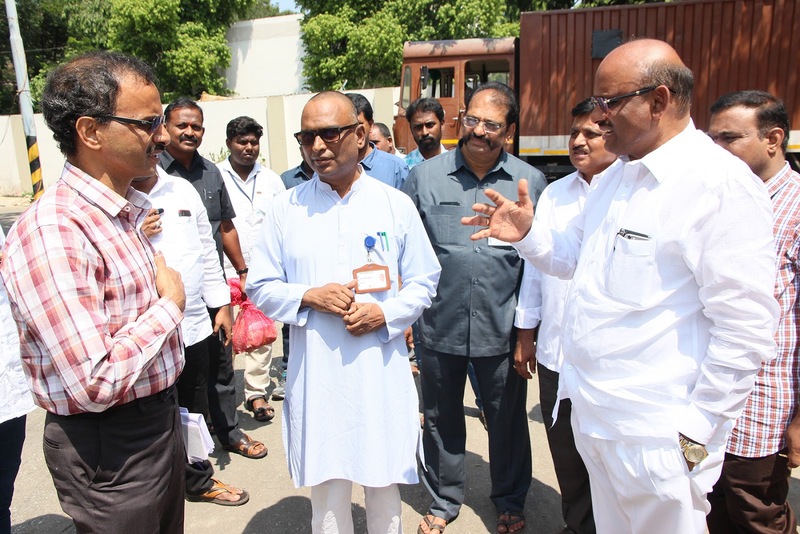 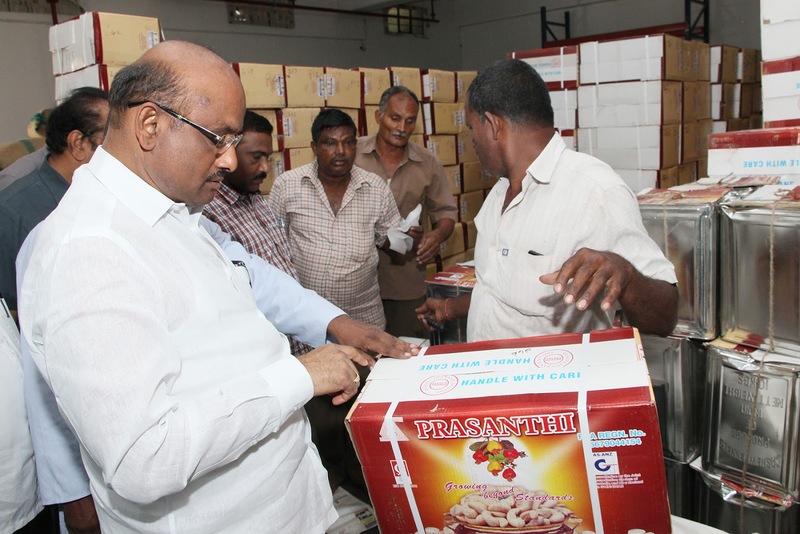 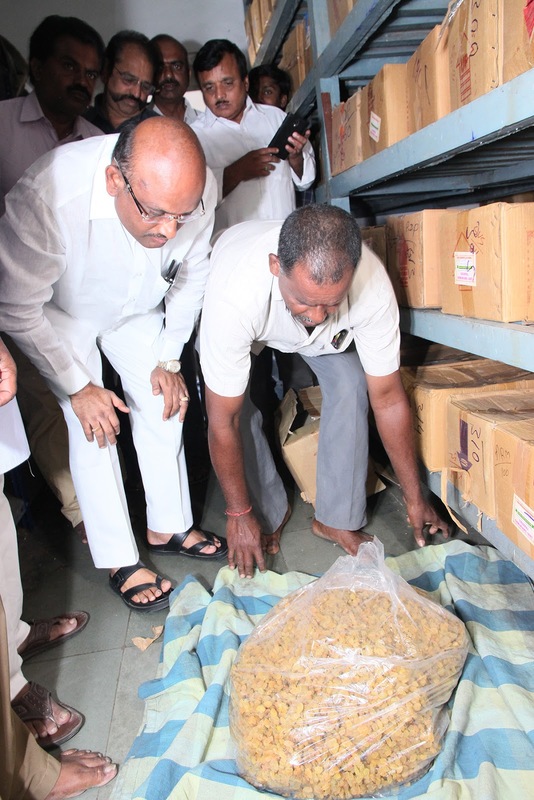 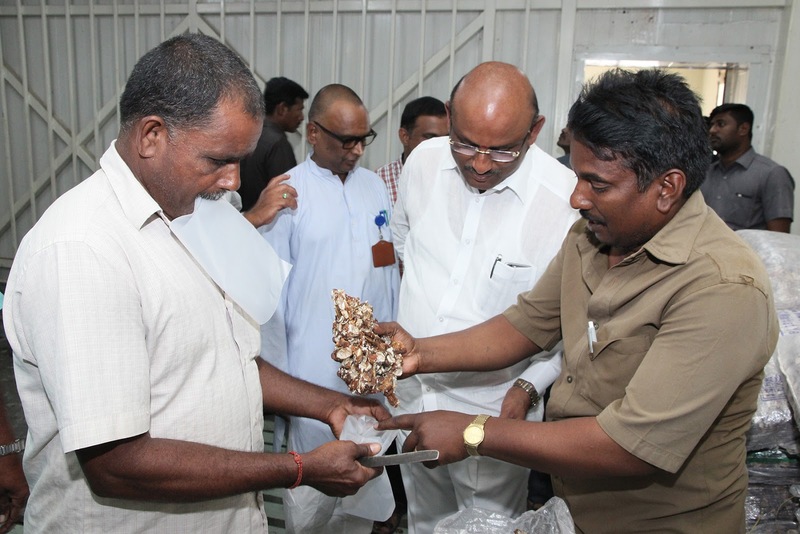 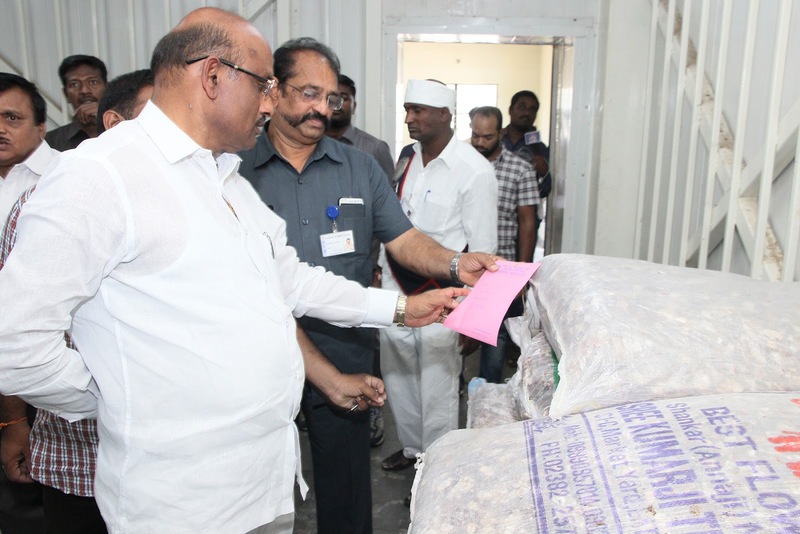 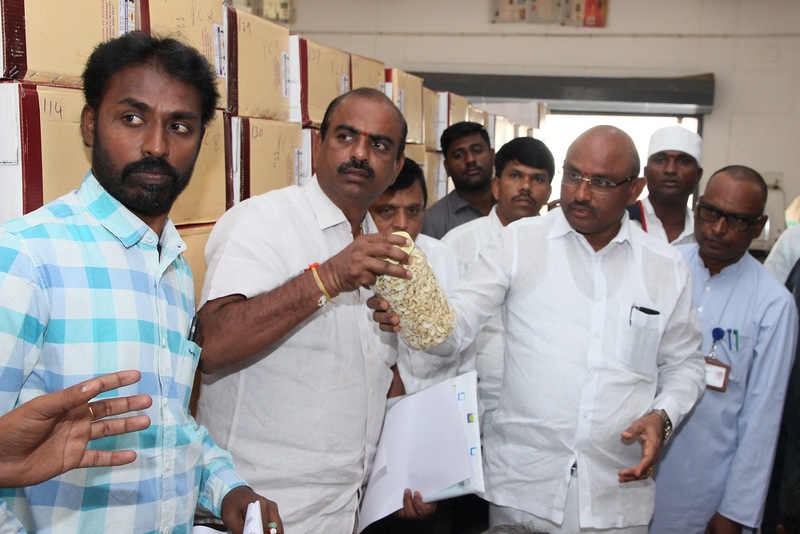 Tirupati, 19 October 2018: TTD Chairman S P Sudhakar Yadav on Friday inspected the TTD Godown in Tirupati. 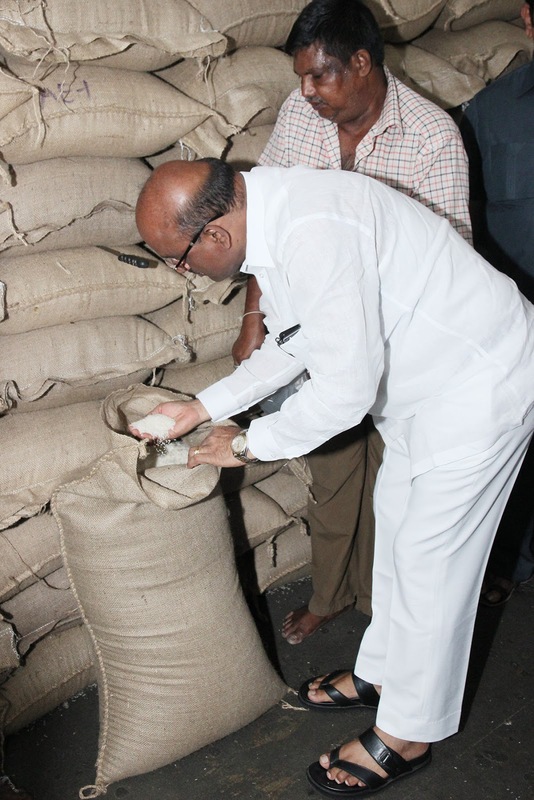 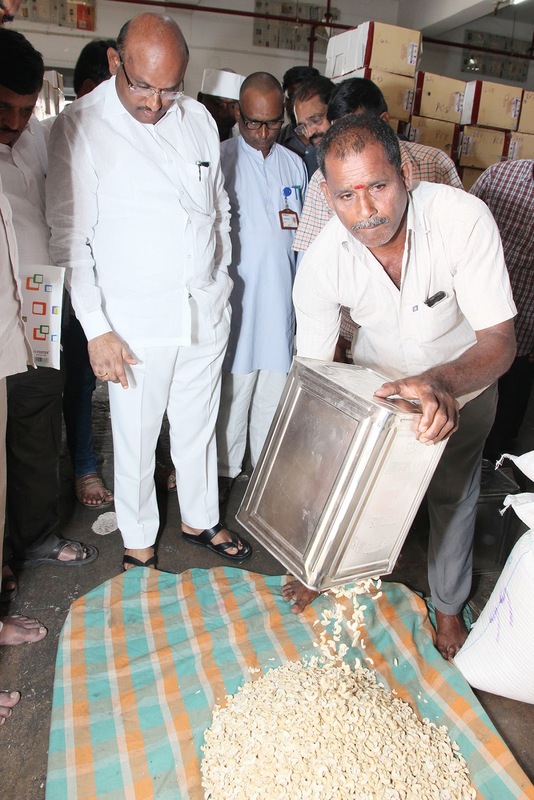 He personally verified the stocks of various ingredientele used for making Prasadam including dry grapes, cashew, almonds, Cardamom, rice, jaggery, BG dal etc.in the godown. 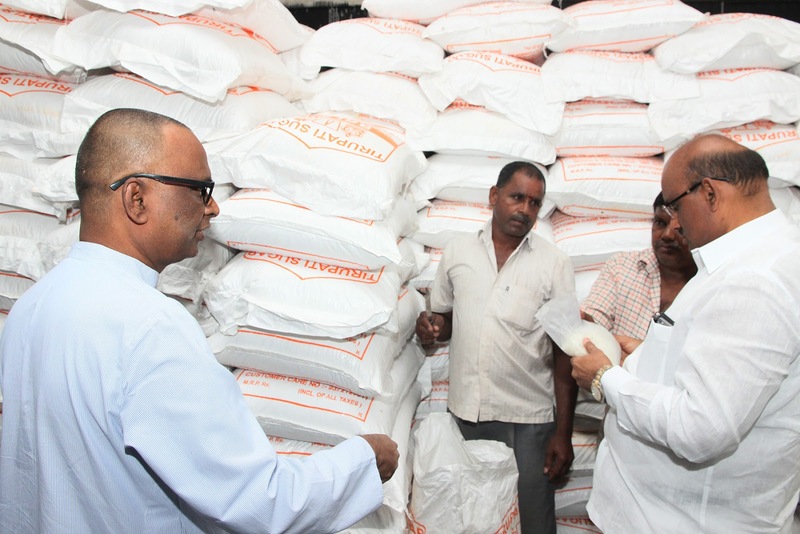 Later he instructed the officials concerned to install CC cameras in all the vital places in godown. The chairman also checked the quality of ingredients, accuracy of measuring equipment etc. 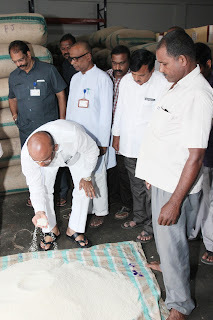 Ashok Kumar Goud were also present.